Meetings, phone calls, and email are important B2B channels but how can you have immediate conversations and drive a more human buying experience? Conversational Marketing is about having one-to-one conversations now to connect with customers and drive leads better. In sum, conversational marketing uses targeted messaging and intelligent chatbots to engage with leads in real-time (while they’re on your website). You can engage people in real-time to offer help, and convert leads faster. 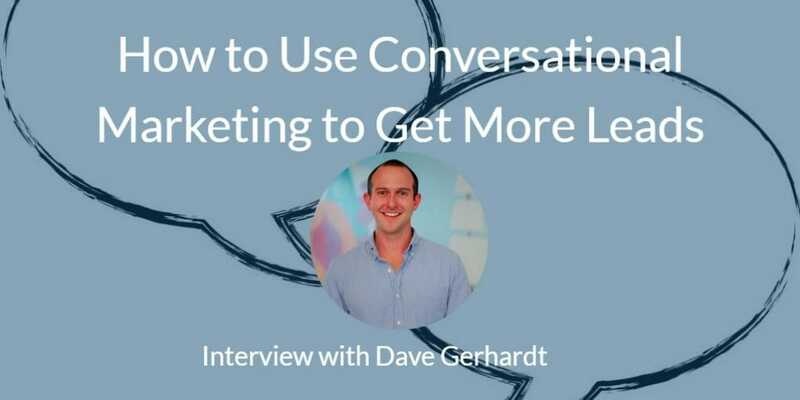 That’s why I interviewed Dave Gerhardt (@davegerhardt), VP of Marketing at Drift.com and co-author of the new book Conversational Marketing. Dave is also known as DG. 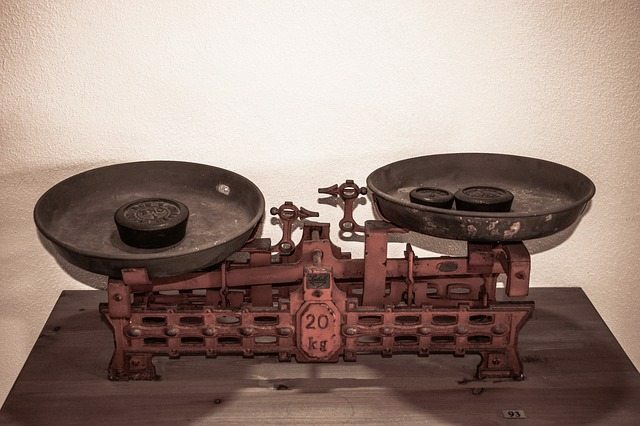 Content is no longer a differentiator for B2B. It is more of a commodity now. Conversational marketing helps you engage in real-time conversation on your site and capture leads without using forms. Be patient and show empathy to your customers. Don’t push them to buy. Use plain text emails to personalize your conversation. Share a bit of your background and what does Drift do? DG: So, my background. I don’t even know where to start. I love marketing. I do marketing at Drift. VP of Marketing; been here for three-ish years right since the beginning of the company. The way that I talk about Drift is that Drift connects you now with the people who are ready to buy now. Which is a big change from how traditional marketing typically works, where most of the traditional marketing and sales systems were kinda built for later? Go to my website, fill out this form, and somebody on the team is going to follow up with you later. But you know, there’s just been a huge shift in the way that we all behave and communicate online, and the now is more important than ever. I think about walking outside this building: if I called Lyft on my phone, the driver would be there in about one to two minutes, and that’s what we expect from everything. Except in the B2B world, where the rules, for some reason don’t apply to how we actually all do things in real life. DG: So, our mission at Drift is really to transform the way businesses buy from businesses, and the way that we do that is through conversational marketing. You have a new book Conversational Marketing coming out soon? DG: You got a copy! Wait, old that up again. I gotta take a screenshot. Brian: Do a screenshot right here. DG: You got one of the contrabands. Love it. Brian: Yeah, we do! I have highlights all over this book, and so I wanted to talk about it. This new book’s coming out. When’s the release date? I know it’s soon. And what motivated you to write the book? Why now? DG: Release date’s January 30th. And the reason we wrote the book is that we’ve just heard so much about the power of conversational marketing, we felt it firsthand. We use conversational marketing and Drift to run our whole business and we have become one of the fastest growing companies of all time in this industry. And it’s not because we have some secret, but our secret has been we’ve used our own product and really made conversations the center of our business. We’ve wanted to write a book. We had enough stuff to say and enough case studies and examples and methodologies and playbooks and blueprints, and all that stuff. Brian: Well, it’s really well done. 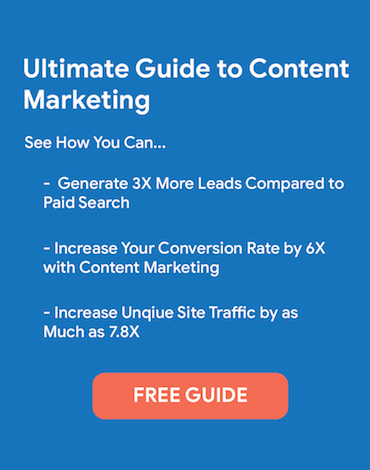 Why do marketers need to rethink their content/lead generation? DG: Because content’s a commodity, right? Everybody has a podcast. Everybody has a blog. Everybody’s into video. Everybody’s on social media. Today, all that stuff is a commodity, and nobody’s going to be on their commute home tonight being like, “You know what I wish I had more of? I wish I had more content from a B2B brand. Like, I need another B2B podcast. That’s what I need.” Right? And so, there’s got to be some other way to compete. You can’t just write a four-page PDF and slap a form in front of it and say, “Here you go sales team. Here are some leads.” Because we’re all kind of starting to ignore that, right? I try to avoid filling out forms if I can. I hate talking on the phone. I never answer numbers that don’t normally call me. I never reply to cold emails. And so, something had to give. And that’s really the shift that we’ve seen in the market. And something that David (who I wrote this book with; he’s the founder and CEO of Drift) the thing he talks about is, he calls it the shift from supply to demand. Right? Customers have all the power today. Ten years ago, they didn’t have any of the power and so if you sold iced coffee, you could be the only person that sold iced coffee. Where now, customers have all the power, right? By the time I’m ready to buy an iced coffee, I’ve already evaluated four or five other companies and I’m there in your store for a reason. Really, the concept that information is free now, it’s not something that can be a differentiator for you anymore. Brian: I was just thinking you sell to marketers, right? And so, naturally, we’re kind of a snarky bunch. We know how things are played, and so it’s about building trust with people as well. I just wanted to hear the story; I was reading the book, but also, I first heard about it, I think it was a year ago. This whole idea of the #noforms movement. How did the #noforms movement get started and what do you mean? DG: What do I mean by “no forms”? That’s a loaded question. So “no forms” is pretty, what’s the word I’m looking for? Not a rhetorical question, but you know what I’m trying to say, right? I did this too, right? I remember one of the first things I did at Drift. I wanted to write an article about the Growth Marketing influencers you should follow on Twitter. And so, I made a Twitter list, I put it in a Google sheet, and I put a form behind it. And I said, “Hey! You want to get my list of 50 people to follow on Twitter? Put your email in here.” Like, that person’s not a lead. Right? There’s no intent there. 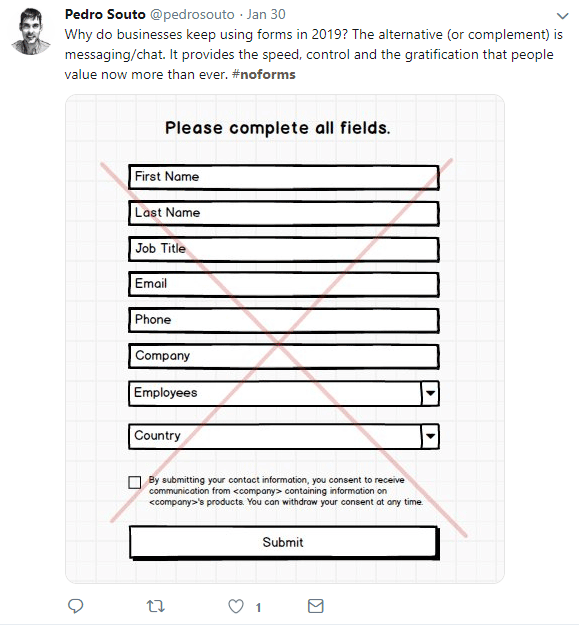 I’m just gating this thing that is a commodity, and so we kind of started this whole “no forms” movement to challenge marketers to rethink how they do demand gen and how they capture leads. It started because about three years ago David Cancel called me one morning on my way into work and he’s like, “Hey! You got a second?” And I knew something was wrong because he never talks on the phone. He only texts. He only sends IMs, Slack, WhatsApp, and text messages. So, when he called me, I was like, “I’m getting fired. Here we go.” It was actually worse than getting fired. He was like, “Hey! I think we need to get rid of all the lead forms on our website and our content.” And I was like, “Okay. And do what?” Like, I’m your first marketing person here. 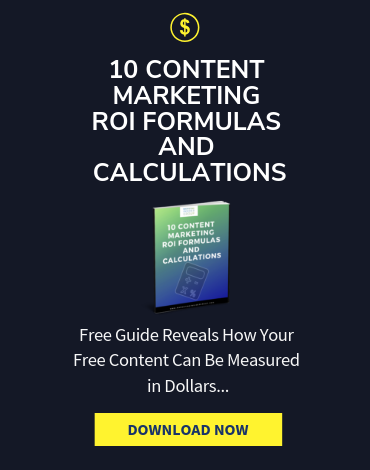 You pay me to generate leads, and you’re taking that away? So, what are you going to measure me on? And he’s like, “No, idiot.” He didn’t say that. And it was amazing because it wasn’t just a marketing lesson, right? I remember sitting next to two of our engineers, we shared a little table together and they’re like, “Okay. You’ve got no forms, so what would you do here?” And they’re like, “We’re building this thing as we go on the spot.” It was super transformational for our business because we were able to see how it worked firsthand. But then we got to go and educate the world, right? Because you say “no forms” to marketers, people are going to jump off the side of the boat. And so, it gave us an opportunity to really go out there and educate the market. And the results since then have been amazing. DG: So, the short answer to that is to have a conversation, right? And that’s really why Drift exists because the way you’re going to capture leads now is by having an actual conversation with somebody. I’ll give you an example. Forms work. And in reality, the best advice I could give you is, don’t replace your forms. That’s what you’re going to do eventually after you’re very successful with conversational marketing. But I want you to use conversational marketing in addition to your forms to start, right? And you’re going to create a second net that’s going to create this fast lane for the best people because if somebody has very high intent and they land on your website, they don’t want to fill out a form. They want to get an answer now. And so, Drift is going to create a fast lane for those best people. 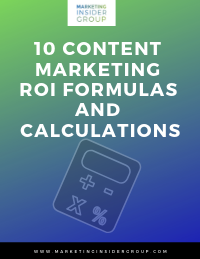 So, part one is, use Drift or conversation marketing in addition to what you’re already doing with forms. The other part of that is something we see all the time, right? How do you ask a question to a form? You can’t. You either fill it out or you don’t, right? We see this happen all the time. We had a real example like this, and I’ll just make up the companies. Long story short, they have a 40-minute conversation. That turns into a demo. That deal closes a month later. How does that happen in the world of a form? It doesn’t. Because the only opportunity is you either fill out the form or you don’t, right? There is no conversation, and that’s the heart of conversational marketing. Now, the next question people ask is, “Okay. So, does that mean that I have to have my team sit there on chat waiting for new messages 24/7?” No. That’s where we use bots and AI. We don’t use bots to replace a human, and we don’t want to put anybody out of a job, right? But we use bots to do that stuff, so people can go on with their day, right? We want bots to handle the digital paperwork; the stuff that was normally used for a form, right? A bot can ask the same questions that a form can ask in two seconds versus having to add the friction of somebody filling out a form. That way, as a marketer, I can do what I’m good at, which is getting people to talk about Drift and coming to our website. And a salesperson, all they have to do is take calls all day, right? That’s the kind of relationship that conversational marketing can help. Brian: What I think as I’m listening to you, I think of two ways of building a relationship. And one, which you’ve touched on, is if you get rid of forms, you’re making things available to people and you’re helping them. And so, it’s like reciprocal altruism. You’re giving something of value. And two, it’s through conversation. That’s how we build relationships. DG: I mean, there’s so many. I don’t have one specific brand example, because there are so many different ones. 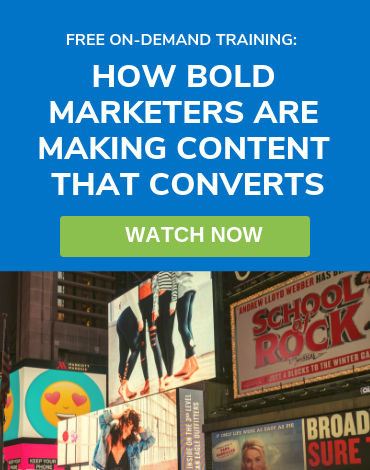 I’ve seen some creative ways people have used conversational marketing. We have a customer who uses it not to book sales meetings, but to sell tickets to their event. So they have this high-end event, and it’s in March. Every person that lands on that website get a, “Hey, Brian. Nice to see you here. Did you know that right now we’re running two for one tickets? Do you want to get one? Click yes.” Okay. Have a conversation to do event tickets. We have customers who use conversational marketing instead of forms to do webinar registration, and it makes webinar registration one click. So, basically, it can double the number of conversions by simplifying the webinar registration. 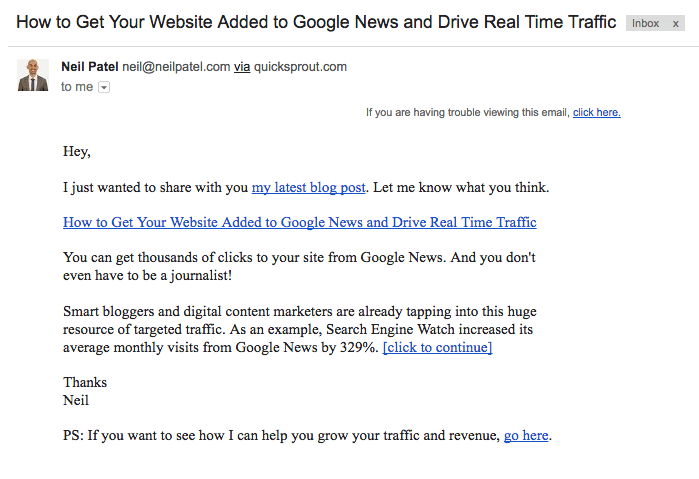 But what if on the fifth time you come to our blog, we then ask you for the demo? And the message is like, “Hey! Alright, let’s be honest. You kind of come here a lot, right? Can I show you what the Drift product is all about?” Right? That’s such a different ask, and it’s just about being a little bit more patient and doing it when the time is right. You would scare them away. But that’s how most B2B companies operate, and that’s how they do business on their website. Brian: Yeah. And we know how that feels in the retail setting. We don’t want to be there. We don’t want to have that experience. As I was listening to you share the experience of what it’s like to be in a store, for example, and how that would feel, it leads me to think about empathy and how we think about the experience of the customer. DG: Totally. So, I think of it as, not to simplify this, most B2B marketers, we treat the people on our website like they’re dumb, right? Like they did no research, they just happened to stumble upon your website in the middle of the desert and go, “Huh…what does this cybersecurity company do?” Right? It doesn’t happen that way. Nobody is just browsing a B2B website for fun. You’re not lying in bed on a Saturday morning going through B2B company’s websites. So, step one is, understand that the people who are there are there for a reason. They probably listen to your podcasts, they watch your videos, they read your blog, they got on your email list, a friend told them. And so, even if they kinda stumble upon your website, like I said earlier, information is free now, right? If somebody comes to the Drift website and they don’t find what they want, guess what they’re going to do? They’re going to go over to Google and they’re going to type “Drift alternative” and they’re going to find one of our competitors and they’re going to use their product. And so, I think it is all about empathy. It’s understanding who somebody is, why they are on your website. There’s a good chance they don’t have all the answers and they’re here for a reason. My wife and I bought a new car about a month ago and it was amazing. We walked into the dealership and we already had basically everything narrowed down. We just wanted to go for a test drive. And you’re nodding, and everybody that you say this to is nodding because that’s how we all behave like people. As humans. That’s how we all buy. But then something happens in our brains when we go to our jobs in sales and marketing. No! Just tell me the freakin’ price over email. That’s not what the decision-maker is going to be, and so it all starts with empathy and understanding that the goal should be to have a conversation with somebody who is in your store. If you change your mindset to that, then your “store” as a B2B company is your website. If I’m a B2B company, I want to have conversations with the people who are in my store, which is my website. If I had a store, I’d have somebody in front and somebody on the aisles being like, “Hey! I’m here if you need anything. Let me know if you have any questions.” Right? That’s how we think about conversational marketing as a layer for all this. Brian: And as you bring it up, I mean we’re all customers and yet at the same time when you’re a marketer you’re not your customer. So, you need to think about that experience, as you just talked about, and from that place, how can you help them? Otherwise, we just have this bias. We love our product. We love our website so much, and we really need to put the customer first is what I’m hearing you say. DG: Totally. The customer has to be first, and I think here’s the easiest way to be empathetic about it. 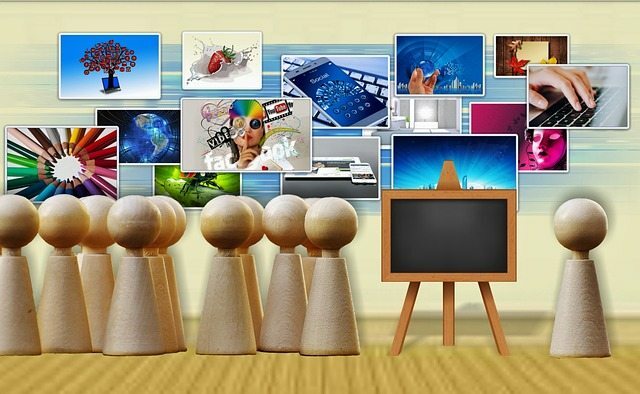 Think about what type of marketing you react to, right? Hold on. We’re all the same, right? There’s no more like I’m not “B2B Dave” and then I go home and I’m like “Dave the dad”, and “B2C Dave.” No. I am just the same person in all walks of life now. That’s because of our experience as consumers, we live in a world where I can order a Starbucks on my phone. I can order a car on my phone. I can order four boxes of diapers and have them sent to my house tomorrow and spend $300 in two minutes on my phone. And then when you go to a B2B website, we want things to work the same, but they don’t. To really break into empathy, you actually don’t have to think about what somebody else feels. DG: Think about how you buy and think about the last thing you bought and start thinking about how you can reverse engineer your buying process to match what you would like. Brian: Yeah. I would probably also add, if I think of that and then also at the same time realize if I now start believing I understand what a customer’s thinking, then I have a bias. You know? So, I’ve really got to understand them too and what they want. You need to spend time with the customer to understand what it’s like, what their experience is too. Brian: There’s so much I wanted to ask you about, but one thing is that in the book you talked about the power of plain text emails and I wanted to ask you about it because, why plain text emails? Can you share more on that? DG: Yes! So, plain text emails. This is something that we first started doing about three years ago, and we did plain text emails because I think people just started to get “banner blindness” in the email. When I saw a highly designed HTML big banner type of email, I was like, “Oh, this is a promotion from a company.” We wanted all of our emails to look and feel like they were being sent from a friend. Subject line would be like, “Tomorrow?” “Hey, mom! I’m just making sure we’re still on for tomorrow. We’ll be there at 1 o’clock. Do you need anything from me?” Why do our marketing emails have to be different than that? That’s how we talk. That’s how we would communicate. And so, we started thinking about what if we just ditched the banners, ditched the design and we started sending plain text emails that were always written like they were from a friend? Brian: Yeah. It was written as if it came from a real person because it did, is what I’m hearing. Does your email feel like it came from a real person? And I’m thinking, wait a second, doesn’t that just reveal the state of the industry that we’re in? So, B2B marketing is not supposed to sound like a real person. And I was like, “No, that’s exactly why we’re doing it.” I want it to sound like a real person. And we even had an email that when you would subscribe to our blog, you would get an email from me and it would say, “Hey!” You know like the welcome email you get after you sign up for something, right? And that one email just disarms so many people, because it’s like look, I’m a real person. I had a video of me saying that. Nobody’s trying to get you upset. Nobody’s trying to spam you. We’re real. We’re human. This is what we’re doing. That little piece of humanity in that email was such a disarming thing and it helped us really build a relationship with those early subscribers that we had. Brian: Well, it seems like as you read in the book the way I would describe it is, you’re treating people as people, not as leads. Not as objects to convert. You’re just relating to them as other people and you’re a person. And you know, I was 23. I was an intern, and I was trying to sound important because I was calling executives. And I think when I embraced the fact that I was 23 and didn’t have a lot of experience and just was who I was, there’s that authenticity and it just is. DG: I love that, because of look, and this is not to be disrespectful. I don’t have the most experience in the world, but I’ve been doing what I’ve been doing now for like the last eight, ten years. No 23-year-old BDR is going to know more about marketing than me, right? DG: And that’s not a knock. You had just graduated college and are in an entry level sales job so if you tried to reach out or call or LinkedIn or whatever, and tried to tell me that I could triple my conversion…whatever, right? I mean, there’s no way. Right? That little change makes such a difference. Brian: I love the section you actually wrote about BDRs and personally, I get questions about BDR reps.
For example, how do we help them do better? You talk about the problem is the process, not the people. How do you mean? DG: Yeah, it’s probably not a people problem. I think the process is more like, most BDRs, most any sales, marketing, whoever, the reason they do bad things is because they’re not incentivized to do the good things. Which is, “Hey! 23-year-old Brian, you’re a BDR. Look, you’ve got to make 200 calls today. That’s all I care about. Make 200 calls.” Of course! What are you going to do? You’re going to make 200 calls. Or, “You’ve got to send 300 emails today.” Then you’re going to send a bunch of automated, terrible emails and you’re going to be like, “Alright. It’s 2 o’clock. I’m going to go home.” So, I think if you have people who are incentivizing behavior like that, then, of course, that’s going to be the result, right? There are two ways to go about getting two meetings a day. You could send 300 emails and hope you get two emails, and how are you going to send 300 emails in eight hours? Well, either you’ve got to blast people, or you could reach out to six of the perfect, dream customers, right? And you’re going to book two meetings from it. And so, that means you’re going to spend half your day doing research. Is it the George Washington or Abe Lincoln quote that talks about chopping down a tree? DG: That’s exactly right. So, it’s the same process for sales and marketing that I think we’ve got to help bring back to the world. Brian: That makes sense. We have time probably for one more question, but I’d love to ask you a lot more. If we’re having a coffee together and I said, “DG, how do I get into conversational marketing? Where can I start?” What tips would you recommend for me to get started today? DG: Number one is to go and buy the book. Pre-order it. Because we’ve taken everything we’ve learned over the last two and a half, three years and put it into this book to help you get started. And obviously, we have a ton of great content at Drift designed to help you do that. But let’s assume that you’ve signed up and you’re going to use conversational marketing. So, start with that one page. Have a contained experiment on that one page. Prove out success and then start to expand. Then put it on the pricing page. Then put it on the homepage. Then put it on the blog. you’ve got to have a motion that you’re going to try to improve. 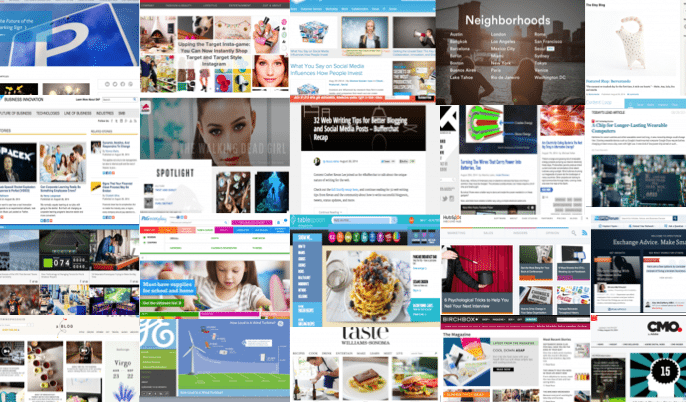 Well, we think we could double the conversion rate on our homepage by doing this, right? So, that’s where I would start is pick one or two familiar patterns, whether it’s your blog, whether it’s your “request a demo” button, and start there. And really learn. That’s the stuff that you can’t quantify until you actually get out there and have real conversations with people.